1) Gather up your mugs, Cactus Wraps, heat tape, transfers, gloves, tightening device, and scissors. 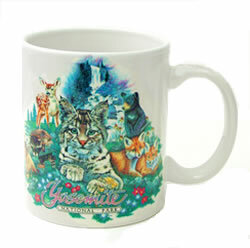 3) Center the transfer on the mug and tape one edge down onto the mug. 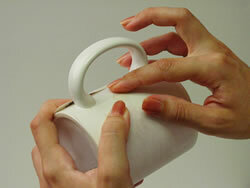 Use your thumb to apply pressure along the transfer to keep it snug to the mug. 4) Push the second piece of tape firmly onto the mug. 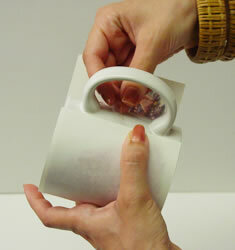 5) Center the mug in the Cactus Wrap, slide the catch under the handle and fasten it over the receiving bar. Tighten with a 7/6" nut driver or drill. We recommend the Ryobi 3/8” Clutch Driver purchased at Home Depot for $39.97. We use a clutch setting of 3 or 4 which gives good even pressure without over tightening the wrap, which is key to long wrap life and successful transfers. 6) Use the pressure as stated above with the Ryobi drill (clutch setting of 4 or 5). 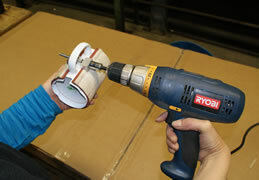 You can also hand tighten with nut driver. 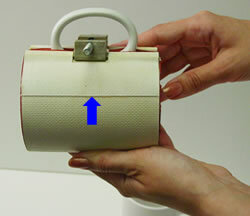 Once snug, turn ½ to 1 full turn to give a little more pressure. You should see a slight bow in the center where the white material overlaps. 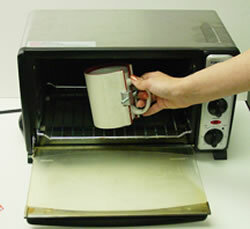 7)Pop the mug and wrap into a toaster (or larger) oven UPSIDE DOWN. Convection ovens work best and you can usually put 3-5 in at a time. We recommend the Hamilton Beach 31197. Bake for approximately 15-18 minutes at 380 - 400 F if using Cactus Ink Jet coated mugs, 350 - 365 if using Versa coated mugs. 8) Put on your gloves and remove the mug. CAUTION THE MUG IS EXTREMELY HOT! 9) NOTE: Keep your gloves clean because dirt can transfer into the mug coating while hot. 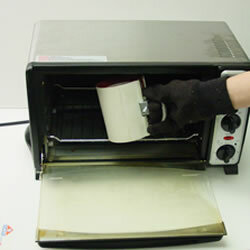 a) Remove tape and transfer while hot, but be careful. .
b) Allow to cool for 1 minute then remove the tape and transfer. If cleaning is needed, use mild dishwashing soap.